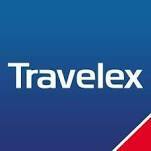 Travelex New Zealand Exchange Rates – How do they Compare? Travelex branches in NZ are a one stop shop, providing tons of helpful services to help you prep for an overseas trip. Travelex Australia provides foreign currency exchange, travel money cards, traveller’s cheques and foreign money transfer to bank accounts or cash pickup. This travel money comparison table shows how much you could save on your next travel money purchase by ordering online for Travelex pickup vs the Average Bank Rate. This example shows you the situation where you want to change $NZD 2,000 for foreign cash, note the margins are compared to the current market mid-rate. Consider much cheaper and better options such as XE, OFX and CurrencyOnline. The New Zealand dollar plummeted on Wednesday after the RBNZ said its next move on interest rates was likely to be a cut. Given what should have been obvious advantages, the Australian dollar’s inability to gain against the US dollar last week is an ominous sign that suggests further Aussie depreciation in the near term. BER rates Travelex UK 4 stars for exchange rates (when you order online) and 5 stars for the usability of their website and apps and 4 stars for customer service.